Stuttgart have confirmed Herbert Gentner, father of the Bundesliga club's captain Christian Gentner, died at their stadium following the home game against Hertha Berlin. Gentner played the entirety of Saturday's encounter, setting up Mario Gomez's winner in a 2-1 victory. In a statement released on the club's official website, Stuttgart announced their skipper's father had passed away at the Mercedes-Benz Arena after the game had concluded. 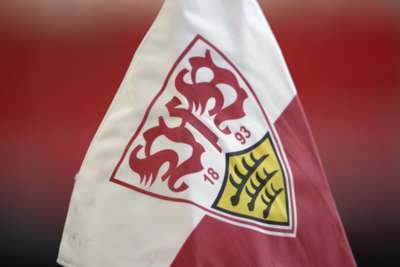 "VfB Stuttgart mourns the passing of the father of team captain Christian Gentner, Herbert Gentner, who died at the stadium following VfB's home game against Hertha Berlin," the statement read. "The entire club offers its support and condolences to the Gentner family at this difficult time." Everyone from Hertha would like to send their thoughts and condolences to Christian Gentner and his family after today's sad news. Several other Bundesliga clubs, including Hertha and Gentner's former club Wolfsburg, also shared their condolences, while Bayern Munich's Jerome Boateng posted his sympathies on Twitter. Wolfsburg tweeted: "Dear Christian, we wish you and your family a lot of strength in these difficult hours and are with you in your thoughts."